A good adult mosquito surveillance program is perhaps the cornerstone of mosquito management and control. Surveillance involves trapping and counting mosquitoes, identifying the species, and performing disease testing on the mosquitoes. 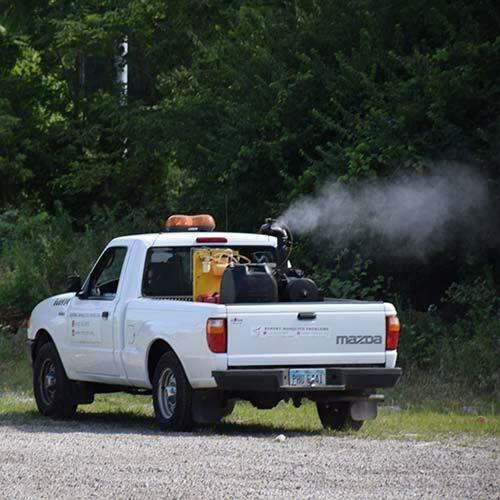 Franklin County Public Health takes a proactive approach to mosquito management by performing weekly adult mosquito surveillance. 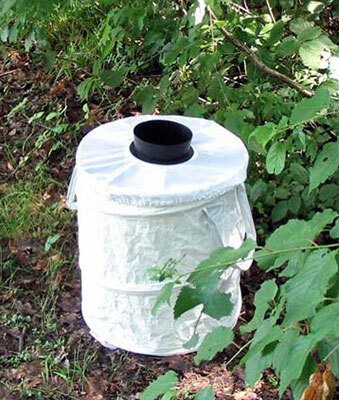 We do this by setting approximately 50 mosquito traps in various locations throughout the county. 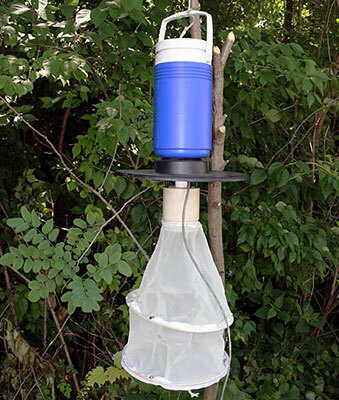 The traps include gravid traps, which are used to collect mosquitoes that carry West Nile Virus (WNV), CDC light traps and BG sentinel traps are used to find other disease carrying mosquitoes; specifically those that carry La Crosse encephalitis and Chikungunya. These traps are set from mid-May through late September. The gravid traps remain in the same locations throughout the year but the CDC light traps and BG sentinel traps are moved throughout the season. 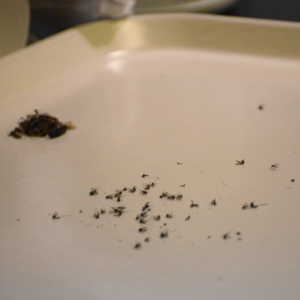 The species of mosquitoes collected in the traps are counted and identified by our staff. West Nile virus (WNV) testing is performed on all of the adult mosquitoes that are caught in FCPH gravid traps. These mosquitoes are divided into “pools” or groups of fifty (50) and are then tested for the presence of WNV. 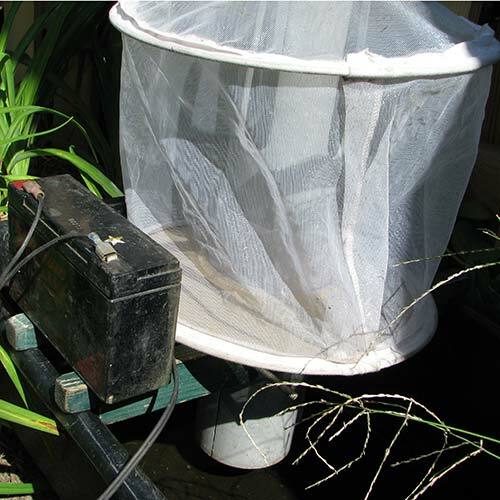 Many of the mosquito pools collected are tested at our facility by using Rapid Analyte Measurement Platform (RAMP). This enables us to have WNV test results within hours as opposed to days or weeks. During the peak of the WNV transmission cycle, this in-house testing is invaluable at providing us one of the tools that help us determine when it is appropriate to adulticide or spray an area to control adult mosquitoes. Unfortunately, we are unable to RAMP test all the mosquitoes we trap; however, the Ohio Department of Health tests all mosquitoes submitted by local health departments and confirms for WNV. What are Larvicides and What Do They Do? Larvicides are both chemical and biological products applied to water that either kill or inhibit the development of immature mosquitoes. Larviciding is an integral part of our mosquito control program. Our staff spends much of each day looking for and treating mosquito breeding areas throughout the county. Mosquitoes are easiest to control in the earlier stages of their life because they remain in water until they become adults. These EPA registered larvicides are applied by licensed and trained staff to areas of water where the mosquitoes are growing. We are able to eliminate great numbers of mosquitoes before they become flying adults by using the appropriate larvicides. Franklin County Public Health makes it a priority to use the most effective larvicides with the least environmental impact. 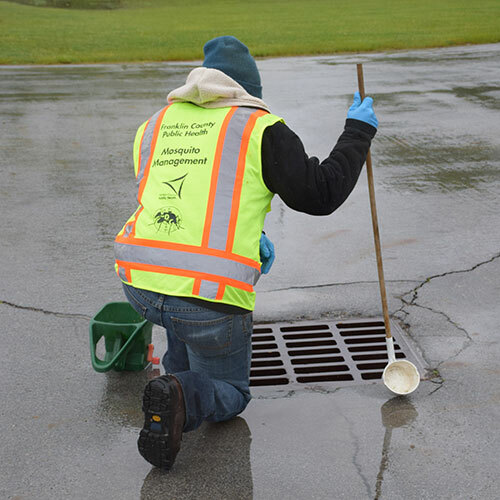 As part of our commitment to mosquito control, each spring our staff implements a comprehensive catch basin (storm drain) treatment program throughout the county. We inspect catch basins and use historical data and mapping to determine whether or not it is designed to hold water or is holding water. Once identified, these “true” catch basins are monitored throughout the season. 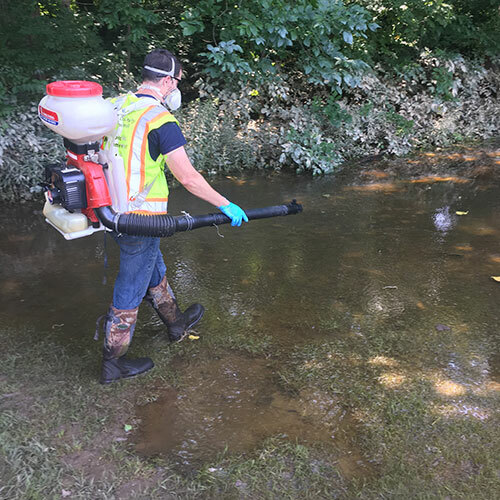 If sampling indicates that there are eggs, larva or pupa present, these catch basins are treated with the appropriate larvicides to kill and/or prevent the mosquitoes from hatching into adults. These treated catch basins are also monitored to ensure that the larvicides are working. If necessary, the catch basin will be treated again. AGNIQUE® MMF is a larvicide and pupicide with a unique physical mode of action rather than chemical toxicity. It is ideally suited for mosquito control programs as it can be used in a wide range of habitats from fresh water to salt water and it's even labeled for use in potable water. AQUABAC is a biological larvicide used to control mosquito larvae and black fly larve in aquatic habitats. AQUABAC is based on the naturally occurring soil bacteria, Bacillus thuringiensis israelensis (Bti). This highly effective and economical microbial insecticide can be used in nearly all aquatic habitats, to effectively and efficiently control target species in the larval stage. FOURSTAR™ BRIQUETS are a highly selective microbial insecticide effective against mosquito larvae in a variety of habitats for up to 45/90/180 days or more. FOURSTAR BRIQUETS release effective levels of Bacillus sphaericus and Bacillus thuringiensis subspecies israelensis to the water surface over time as the briquet dissolves. SPHERATAX SPH 50G is a highly selective microbial larvicide granule containing the bacterium, Bacillus sphaericus. Bacillus sphaericus is a naturally occurring bacterium that is found throughout the world and effectively kills mosquito larvae present in water. VECTOLEX® is a biological larvicide providing selective, environmentally sound control of most mosquito larvae. VECTOLEX is based on Bacillus sphaericus a naturally occurring bacturim in the environment. These fast-acting products are commonly used in municipal and industrial water treatment facilities, animal waste lagoons, storm sewer catch basins, continuously irrigated croplands and pasture, and mosquito breeding sites. VECTOLEX offers effective residual control of a number of mosquito species. VECTOMAX™ is a unique biological larvicide that combines Bti andBacillus sphaericus in one homogenous formulation. These two bacteria are combined in one molecule which ensures that larvae feed on both at the same time. VECTOMAX offers the faster, broad spectrum control of VectoBac® (Bti), with the residual control of VectoLex® (B. sphaericus). Spraying or adulticiding is the application or treatment of pesticides to exterminate adult mosquitoes. The most common way to apply these pesticides is using truck-mounted ultra-low volume spray units driven on public roadways. Adulticiding is one of the tools we have in order to control and manage mosquito populations. When done properly, adulticiding is an effective way to reduce the numbers of mosquitoes and reduce people's risk of contracting mosquito-borne diseases. When Do We Apply Adulticide? It is important to apply these pesticides when mosquitoes are most active. 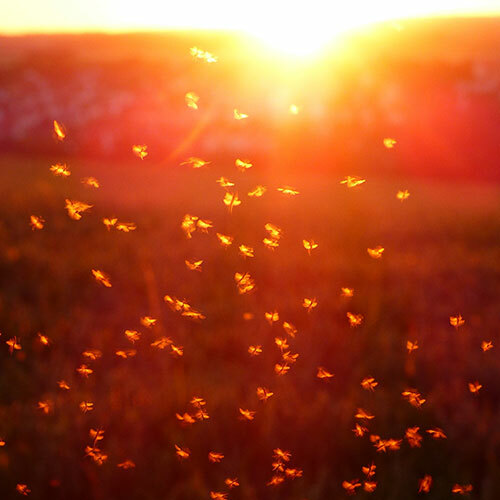 For the species that carry West Nile virus, it is best to apply adulticide just before sunset or within the next several hours that follow. Licensed and trained staff apply adulticide intended specifically for mosquito control. The pesticides are registered with the U.S. EPA and Ohio Department of Agriculture, and are applied according to federal and state laws. How Do We Apply Adulticide? Franklin County Public Health uses ultra-low-volume (ULV) spray machines that are computer controlled, GIS equipped and calibrated to apply extremely small amounts of adulticide over large areas. The droplet size of the pesticide applied in the spray is small enough to be lethal to mosquitoes, but will not adversely affect other insects. The adulticide applied by our truck mounted units do not persist in the environment for very long; they naturally break down within hours, will decompose as they are exposed to air, and are destroyed rapidly by sun light. The morning after an application, the amount of residual adulticide on exterior surfaces will be negligible. When Do We Decide to Adulticide? 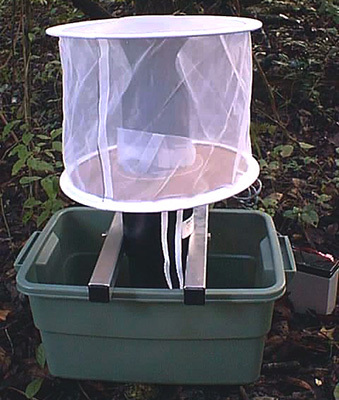 Is there a significant increase in the number of mosquitoes that can carry disease in our weekly trap locations? Is there a lab-confirmed or RAMP tested presence of West Nile virus (WNV) in the mosquitoes we trapped? Is there a history of WNV in an area? 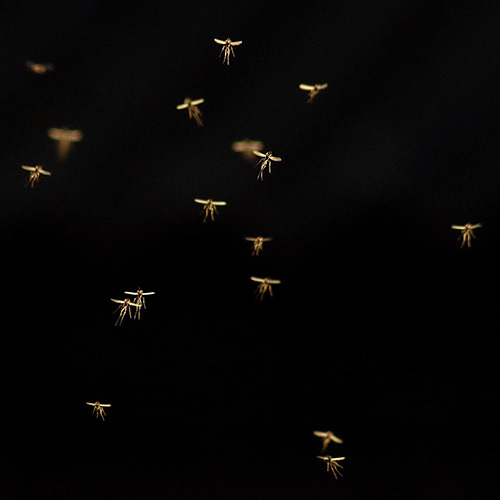 Are weather events or weather patterns contributing to an increase in mosquito populations? Has there been a confirmed human case of WNV or other mosquito-borne diseases? Are attempts to control mosquito populations through larviciding not been effective? Or, there is a public health emergency as determined by the Board of Health and/or Health Commissioner. Once we consider these factors, we provide our recommendations to the officials of the local jurisdiction for which we intend to spray. These local jurisdictions determine if and when to spray. In addition, the evening following our spraying, mosquito traps are set in the areas we sprayed to determine if the adult mosquito population was adequately reduced from our previous week’s trap. We look for a 60% reduction in adult mosquito population. If we have not achieved near that 60% reduction, we may consider spraying that area again. We also continue to look for and eliminate sources of breeding in these areas that may be contributing to the high trap counts. If you do not want your property sprayed, please see our Do Not Spray registry information and form. With the summer months comes festivals, fireworks, movie nights, and other outdoor events. To help everyone better enjoy these events we provide barrier treatments for these city, village or township activities in addition to typical adulticiding. 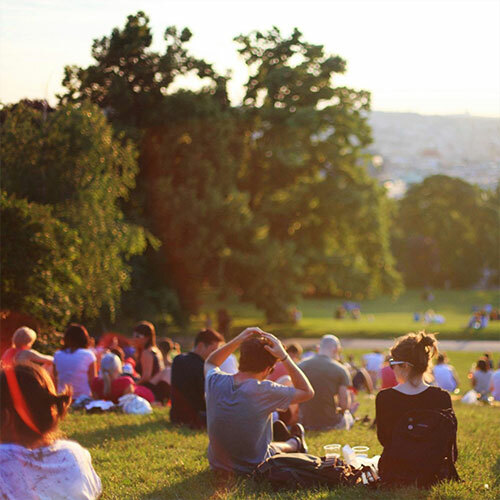 In a barrier treatment, chemical is sprayed on the foliage surrounding an open area such as a park or fairground. The chemical is designed to cling to leaves. As mosquitoes land on the treated areas, they are killed. Under ideal conditions, this treatment can last a week or more. MasterLine® Kontrol™ 4-4 for Mosquitoes, Flies, and Gnats is a 4.6% permethrin/4.6% PBO low odor oil formulation. As a non-corrosive, it won't damage cars, trucks or airplanes. Its broad spectrum, superior formulation is clean and clear and provide quick knockdown of most mosquito species as well as other Diptera species such as biting and non-biting midges, black flies and gnats. With no EPA required water set back, Kontrol 4-4 can be applied ultra-low volume (ULV) by air or ground. It can also be applied either as a mist barrier or from a thermal fogger. SUSPEND SC insecticide is a suspended concentrate insecticide containing 0.42 lb active ingredient per gallon. SUSPEND SC insecticide is designed for use both indoors and outdoors and will provide effective knockdown and long residual control of a wide variety of pests. Each application will provide a parameter barrier treatment to prohibit pests from entering the treated surface. Franklin County Public Health does not use this product in its truck-mounted sprayers, but would only apply this to foliage and vegetation in specific residential and public settings in order to obtain long-term residual control. This product is not applied to flowering plants, crops or areas where pollinators would be found.